We can transform them into monsters, animals, heroes, Aliens, or skulls. 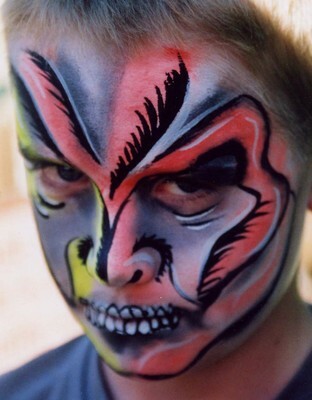 We also offer temporary tattoos in a variety of designs from dragons and lizards to tribal. Products used in film and TV create realistic wounds such as bullet holes, cuts and bruises. Zombies and skulls are also favourites. Make sure you inform the other parents, as they can sometimes be shocked at how realistic the effects are!